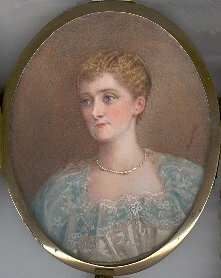 These miniature watercolours were painted by Bertha Lambart, who was one of Violet Dunville's eight sisters and a Maid of Honour to Queen Victoria. 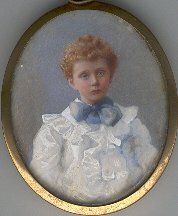 Bertha and Violet also had three brothers. 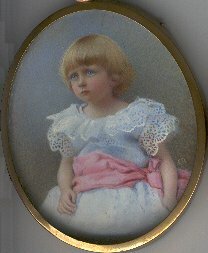 Robert and Una were the first and fourth children of John and Violet Dunville. 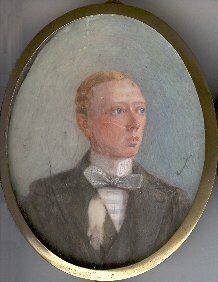 The photographs of the paintings were provided by Christopher Dunville, who is a great-great-grandson of John and Violet Dunville.